Trithrinax is a south American genus of about five species. 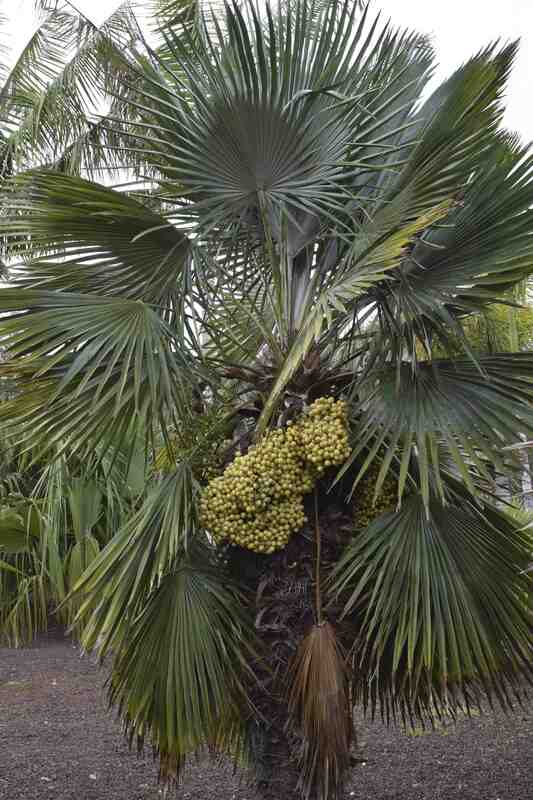 They are often considered the most primitive of palms and all have bisexual flowers so that every bloom can produce a seed. 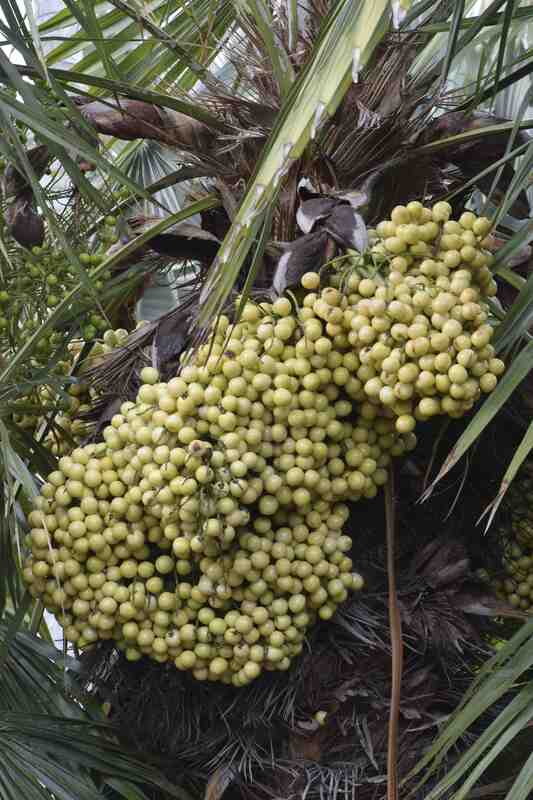 They all have fan shaped leaves and a characteristic of the genus is the very spiny leaf bracts that persist on the stem for many years before they fall to expose the trunk, making these palms formidably armed. Trithrinax acanthocoma is one of the commonest species, from Brazil, and grows to about 4m high. Like others in the genus it is very resistant to drought and prefers sun and well drained soil. It is also tolerant of light frost but that is probably only in dry conditions and I do not think this means it will thrive in a UK climate. The leaf tips split into two to make a fork. The flower clusters develop into large, dense bunches of small, creamy white fruits.